Every year thousands of businesses in the UK change their company name. Documentation needs to be filed with Companies House so that the Registrar of Companies can permit the name change and BIRR can take that inconvenience off your hands for you. Providing the resolutions, minutes and necessary Companies House forms we assist Accountants, Solicitors, Small and Large Companies and various other clients with our effortless company name change service. 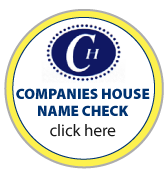 Just use the Companies House name check to check your proposed name is available and a few short questions later we can then prepare all the necessary legal documentation to make the name change for you. It’s quick and easy. The change of name will normally be processed within five working days from receipt at Companies House. We also offer a same day service at an additional cost if necessary.